Managing a project? Then you know a project timeline will show how all the pieces of your plan fit together and keep your team on the same page. So what’s the problem? It’s likely that you don’t have access to a strong process or know how to even get started. Fret no more. Here’s a step-by-step guide to creating a project timeline—no matter what your job title, industry, or department is. Follow these steps and learn how to build project timelines that put you in the driver’s seat. What are your goals for the project, both internally and externally? Which internal and external stakeholders are a part of the project? What are their roles? The internal goal is to plan a high-impact client event under $15,000. The external goal is to achieve a 50% RSVP rate and 80% attendance rate. Which internal and external stakeholders are a part of the project? The internal stakeholders are the event’s planning committee (John, Sam, Tara, Linda), the VP of Client Success, and the Marketing team. Externally, the stakeholders include all current clients, and certain vendors (catering company, event venue, etc.). The project planning kicks off on January 15 and the event is scheduled for August 30. Once you have your project brief and goals outlined, you’ll be ready to work backwards and figure out all of the steps you need to take to get there. 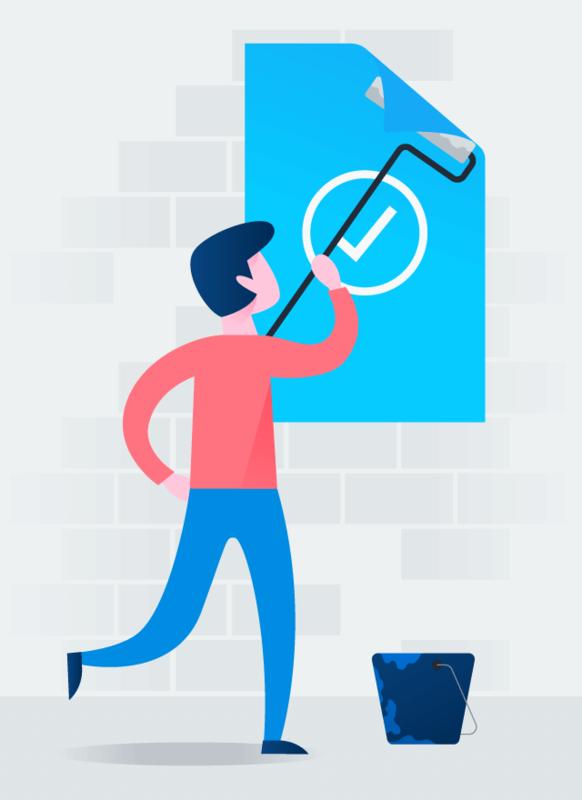 In order to have a successful project timeline, you’ll need to create a list of everything that will need to happen throughout the project planning process. Think both big and small. Any tasks that will help you get your project completed on time and on budget should go on this list. At this point, don’t worry too much about the order of all of your steps or when you need to get them done — we’ll cover that later. For longer or more complex steps, break them into smaller, easy-to-digest subtasks. Not only will it help you figure out the true scope of a step, but it’ll also ensure you don’t forget any small detail and make tackling it more manageable. Once you have a comprehensive list of every step in your project, you’ll then allocate an amount of time each will take to complete. When doing this, balance giving your team enough time to get tasks finished and staying within your overall time frame. Once you know how much time each task will take, you’ll be able to properly schedule out and sequence each task. Continuing on with our client appreciation event example, let’s take the “Select catering” step, along with each of its subtasks, and estimate how much time the individual tasks will take. Based on our time projections, the process of selecting a catering company will take a total of nine weeks. By working backwards you can determine when you need to start on this particular step. As you’re running a project, some steps can be worked on simultaneously—especially if different teammates are responsible for each of the overlapping tasks. However, others cannot be started or completed until another step is finished. In other words, some steps are dependent on others getting completed first. This is one of the many reasons why a timeline is so important. Visually seeing each step, how they overlap, and the amount of time each one takes will keep you on course. This is also the time to figure out who’s responsible for each step. 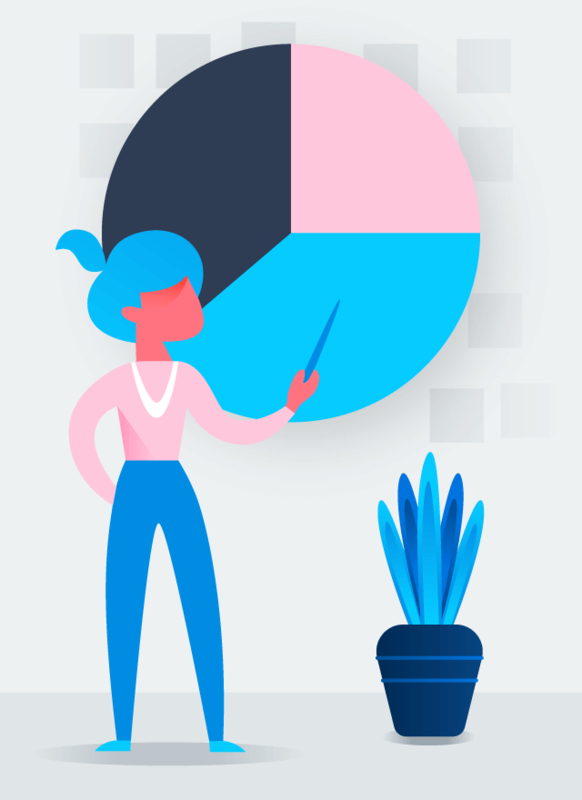 Assigning who’s responsible for what to every part of the project early on will help you spot and adjust timing or resource conflicts, and avoid future surprises and delays. In Step 6 you’ll learn how to share you project timeline with those involved, making responsibilities crystal clear. It’s worth the time to map out each dependency and the sequence (or order) of each task. You’ll quickly start to see your project puzzle coming together. Deciding who will do what is critical as well. Who will be working on finalizing the event theme? Who will design the invitations? The good news is the invitation process and catering selections can be happening at the same time (which will be shown on our project timeline). Are you beginning to visualize what your project timeline could look like? While it’s not practical to keep that image (and all those tasks and due dates) in your head, it is realistic to get them down on paper (or on screen). Your first instinct might be to open up an Excel spreadsheet or powerpoint— but wait. Since neither were designed to plan or manage projects, you’ll run into some challenges you could avoid by choosing a better tool. 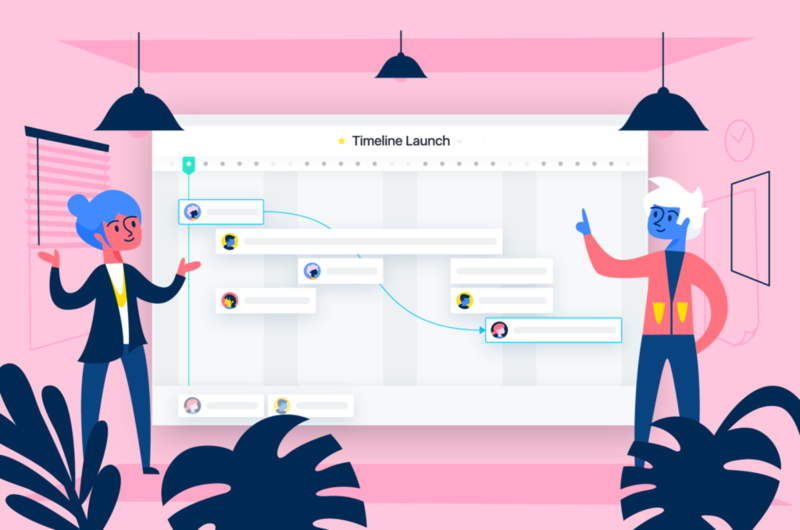 Instead, opt for a project management tool that’s designed to build and manage project timelines—like Asana. Not only will it save you time drawing your timeline (since you won’t have to attempt to hack merge cells and add formulas to turn a spreadsheet into a project timeline), it will allow you to continue managing your timeline after the project kickoff. Dedicated project management tools allow you to easily adapt your timeline as you work, and update your stakeholders on changes and progress. With the right tool, your timeline will be tied to your underlying work and will always stay up to date. It can be the difference between a project running on track and one going haywire. Click on “Timeline” view to see your list translated into a visual timeline. Tip: If you’ve already created your plan in a spreadsheet, you can quickly import it into Asana using our CSV importer integration, and skip to step four. Product marketing launch template: Create a marketing plan for your next product launch. 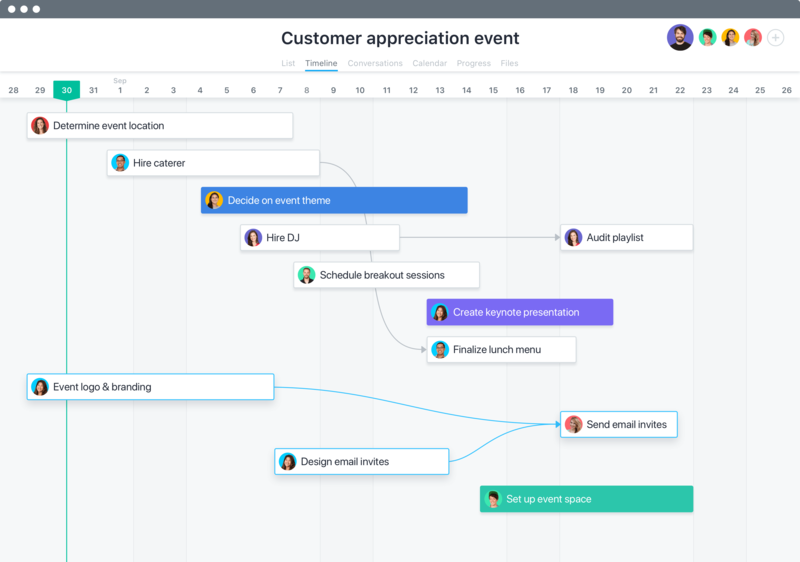 Event planning template: Before you start planning your next event, make a workback schedule and project timeline that will keep your team on track. Product roadmap template: Map out and share your timeline for your next product roadmap. General project plan template: Not doing any of the above? Start with this general template to create your project plan and template, then adjust it make it your own. Remember when you added a list of all project stakeholders to your brief at the very beginning of this process? Now that you’ve built your timeline it’s important to share it with everyone involved. We can promise they will be thrilled to see how clear your plan is. The easier you make their part of the project, the more kudos will be coming your way throughout the process. When you use a project management tool to build your timeline, sharing it is quick and seamless. Forget emails and multiple docs—in no time, your stakeholders will know who’s doing what by when. For the client appreciation event, we will want to share our timeline with everyone involved in the entire project, not just those who have immediate responsibilities. At any time someone will be able to track their part of the project and its dependencies. If you’ve ever worked on any project, you know things don’t always go as planned. However, when you’re prepared to adapt, changes don’t seem so difficult to handle. Timelines aren’t just great for planning; they will also help you adjust as delays inevitably happen. Moving tasks around doesn’t have to be daunting or disrupt the entire project. If one part of the project runs into a delay, as the project owner, you will have clarity on the impact of the rest of the project. Then, you’ll be empowered to move things around accordingly so the overall project can still move forward productively. As The Balance Careers notes, project changes can be managed within their own specific steps, but once the change is final, it’s time to update your timeline. 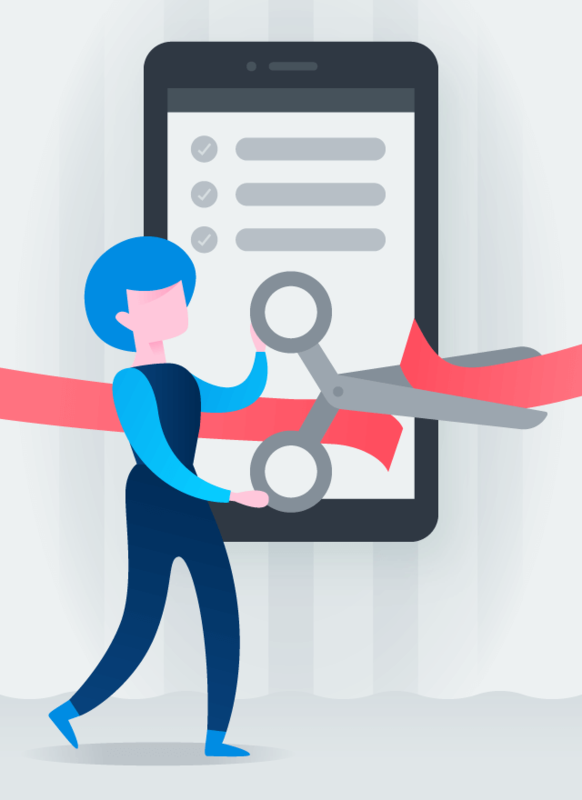 Because timelines go out of date quickly when plans change, relying on a project management tool, rather than email or spreadsheets, offers a major benefit. As the project owner, it’s your responsibility to communicate to all stakeholders what the single source of truth is (your timeline) and make sure it’s always updated. Take immediate action. As soon as the change is confirmed, update your timeline to reflect it. Determine the impact. Once your timeline is updated, you’ll be able to see if there are time periods that are overcrowded and stakeholders that have too many tasks. Can you move a task to ensure more time? Can someone else take over that responsibility? To wrap up our event example, let’s say you managed to choose a caterer for the client appreciation dinner ahead of schedule. You’re about to finalize the contract when a call comes in that the catering company double-booked themselves. Unfortunately, you must find a new catering company. We can use our timeline to adjust the schedule (and anything or anyone that is impacted by this change). The positive part of this challenge is that we’ve already gone through several of the initial tasks and can see that reflected on the timeline. While this is a frustrating problem, it feels more manageable because our timeline has kept us organized and on track. What’s the difference between a timeline and a Gantt chart? Gantt charts focus more on workflow and task dependencies. They are more linear and don’t account for changes or multiple things happening at once. Timelines are flexible and adapt easily to changes in project plans. They allow the workflow to be updated effortlessly. Both serve as visual tools. How can you track project progress, especially if you’re managing multiple? This is tough to do in spreadsheets, but easier in a project management tool. There are multiple views to be able to see one project at a time, or you can manage multiple projects through a portfolio-style view. In other words, you can visualize when you’ll have more time to work on specific tasks and when you’re at capacity, then can adjust as needed to even out your team’s workload. It’s not enough to just come up with a project plan. Determining how to execute it is just as important. Developing a timeline or schedule of how the plan will evolve is critical to the planning phase, and also makes managing the project more efficient. Using this step-by-step process for every project management timeline will keep you on task and less stressed. Try it out, adapt it to your business, and share it! 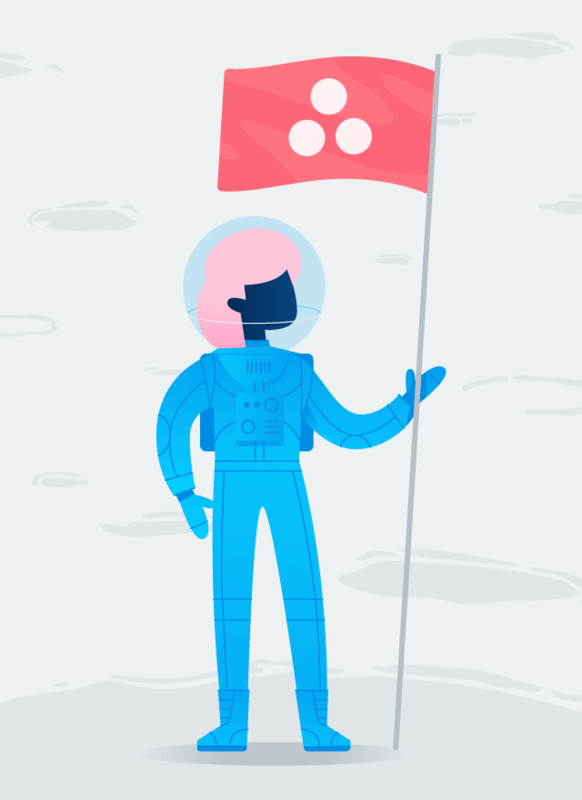 To take your project timelines even further, create your next timeline using Asana. 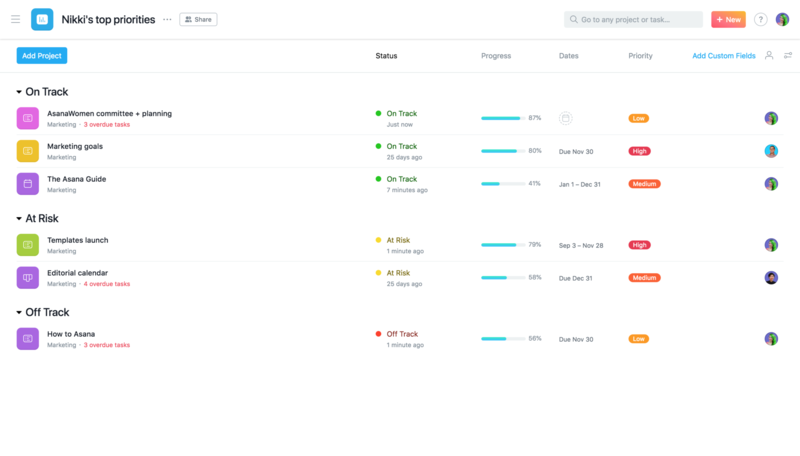 Create your next project timeline with Asana.